INCubatoredu is a full-year course, and offers an authentic entrepreneurship experience as students build a business. Students make mistakes, take risks and learn to pivot. They develop their own product or service startup to gain investment funds in a final shark-tank style pitch event. Real entrepreneurs and industry experts serve as volunteer coaches and mentors guiding student teams through the processes of developing hypotheses about a business concept, testing those hypotheses, adapting, and continually learning and improving. Students leave the course having completed a Business Model Canvas, competitive analysis, financial model, minimum viable product, pitch deck, future communications plan, and future funding plan. As a second-year course, ACCELeratoredu provides students the opportunity to take a business from startup to launched. The experience models that of a real-life start-up accelerator with a focus on developing cohorts of teams through mentorship, education, connections, and accountability to launch a company. This course fosters the transition of businesses founded in INCubatoredu into sustainable, functioning ventures. Students work through major areas of content: legal & banking, customer acquisition, business processes, and product development, and leave the course having gained traction in the marketplace to successfully launch their company. INCubatoredu: Student Stories from INCubatoredu on Vimeo. How Do You Teach Entrepreneurship? By letting kids define the opportunity, create solutions, and embracing the outcome, even if they don’t succeed. Failure isn’t a bad thing because it means students tried something in the first place. It also presents an opportunity to pivot, iterate, and develop some resilience with their thinking as they continue to seek solutions. How Do We Engage and Empower Students? You can foster engagement with a video or game, but how do you empower students? An authentic entrepreneurial experience builds confidence and encourages passion for students to think through new answers to new problems and give new interpretations to old problems. Students benefit from the collective power of a diverse instructional team. Our INCubatoredu and ACCELeratoredu programs are led by your classroom teacher who is supported by key members of your community. This enables a unique instructional framework for students to be grounded in ‘real’, while connecting your community around student success. "Our approach with an authentic entrepreneurial experience allows students to drive their own learning and uncover their passions." Students build a real business or venture, this is not a simulation. The student role is one of active learner of concepts and practices, then application to their chosen business idea or venture. They learn through a combination of application, understanding, interpretation, and most importantly reflection. Students learn best when actively creating, and solving problems they care about. Even more so, when supported by peers, and a community who appreciates and recognizes their accomplishments. 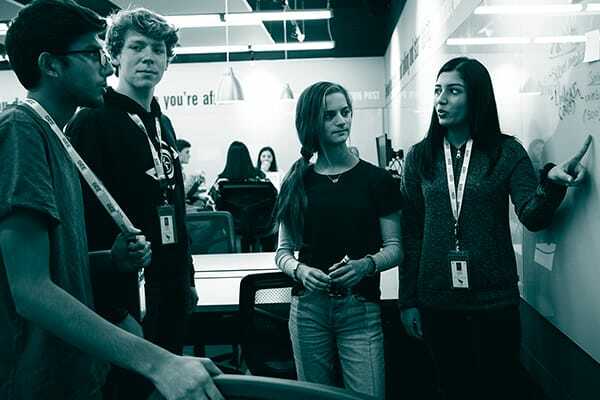 Building an entrepreneurial ecosystem for students activates this type of experience, and provides meaningful learning connections for students. Students are assessed on course learning outcomes and the development of entrepreneurial mindset and behaviors. This is a project-based learning environment that includes interpretation, application, and reflection to demonstrate learning progress from struggling to exemplary. This full year, rigorous, for credit course consists of 8 units of study, 4 each semester. Recommended for grades 10-12. Each unit addresses specific startup practices combined with business foundational concepts that allow students to build, test, learn, and iterate. Students leave with exposure to main business subjects and how they apply to a real business along with entrepreneurial skills and mindset. Comprehensive digital library of materials including lesson plans, assessments, and student-facing resources & slide decks. INCubatoredu teachers are provided with comprehensive training and support. Teachers experience firsthand the ecosystem of entrepreneurship by collaborating with entrepreneurs and investors at annual professional learning events. Uncharted Learning collaborates with schools to implement this authentic, workplace-like experience within their districts. This includes onboarding meetings to discuss how to identify the right teachers, resources for converting a classroom into an incubator-like environment, and how to promote the program in your community. For teams who have completed INCubatoredu, ACCELeratoredu helps student gain market traction. The experience models that of a business accelerator, developing cohorts of businesses through mentorship, education, networking, and accountability to launch a company. Throughout the program, students work through three major areas of content: customer acquisition, business process, and product production, progressing through the content as it best suits their business. Resources are included to guide students in establishing their business entity and other legal structures in a summer program. 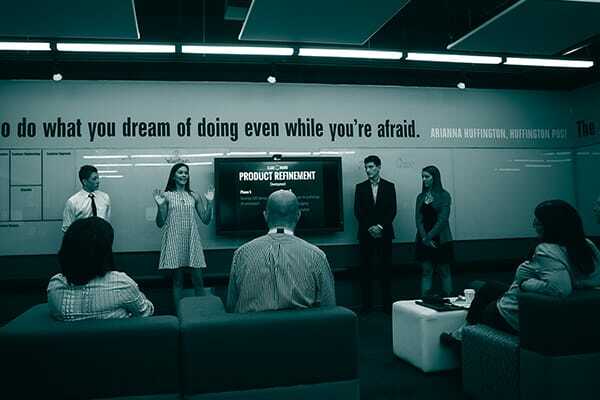 The ACCELeratoredu experiences equips students with the skills and steps to successfully launch their company. Comprehensive learning resources are provided through a digital library of materials that includes lesson plans, assessments and rubrics as well as a curated selection of resources used by professionals in the field. Member ACCELeratoredu teachers are provided with comprehensive training and support. Teachers experience firsthand the ecosystem of entrepreneurship by collaborating with entrepreneurs at annual professional learning events. Uncharted Learning collaborates with schools to implement this authentic, workplace-like experience within their districts as a second-year complement to INCubatoredu. This includes onboarding meetings to discuss how to organize this program in the schedule and accommodate customized district needs. Our programs and curriculum offer educators an entirely new way of instructing. Imagine trading textbooks for an arsenal of resources and teaching tools that are fresh, relevant, evergreen, and real-world based. 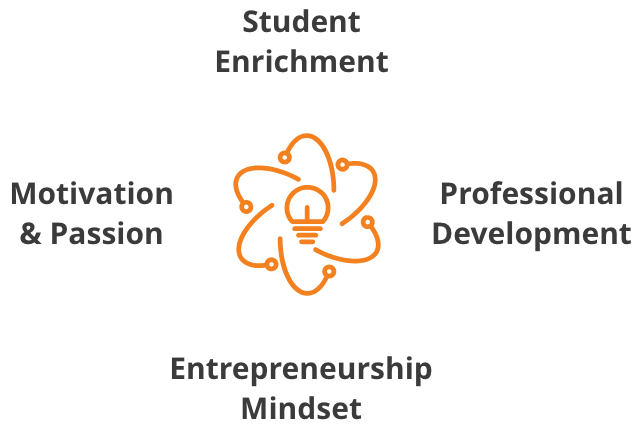 Imagine professional development that offers teachers real connection with industry to build skills around entrepreneurship. What if professional development for teachers could foster growth and a renewed passion for the entire profession of teaching? We believe educators deserve a direct line to enrichment and access to a dynamic learning community. We offer educators comprehensive training and support that aims to do just that. Programs are fee-based (by school, not individual student) and comparative to other curricular investments. Each program membership includes a scope of implementation (onboarding) and comprehensive resources including lesson plans, supporting materials, activities, assessments, professional development, and ongoing support. All member schools are provided online access to articulated curriculum and support materials via a password-protected custom website. Your team is onboarded to ensure successful adoption and implementation. Annual professional development includes a three-day deep dive into an entrepreneurship experience for your core teaching team. Year One training focuses on the successful launch of your program. Subsequent years' professional development focuses on building skills, growing your program, and updates to curriculum. Licensing fees provide continued access to program materials, enhancements, and the professional learning community. The recent approval and increase to Perkins V Grants helps bring innovative programs like INCubatoredu to your schools. Over 70 percent of our Member schools leverage Perkins and other sources to fund these initiatives.